After graduating high school in 1949, she worked at the Brooklyn Eagle Newspaper and The Dime Savings Bank. Frances married her childhood sweetheart Frank, Sr. in 1952 and they began a family together. Affectionately nicknamed “Sugar,” Frances remained extremely close to her sisters and their families, sharing every Sunday dinner together. After raising her three children, she re-entered the workforce as a cosmetic consultant for Macy’s Estée Lauder at the King’s Plaza Mall. Frances was known for her outstanding cooking, especially her raisin meatballs. She enjoyed spending time with her extended family and following retirement, attended events with her church social group. Frances assisted in raising her eight grandchildren who lovingly called her “Chupie”. 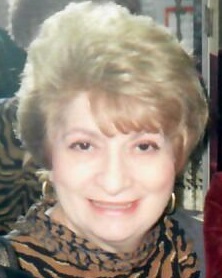 She is survived by her children, Vincent, Frank Jr., Angela, her grandchildren and great grandchild.